It’s finally here... Millie starts school on Wednesday and I’m not sure how I feel about it! 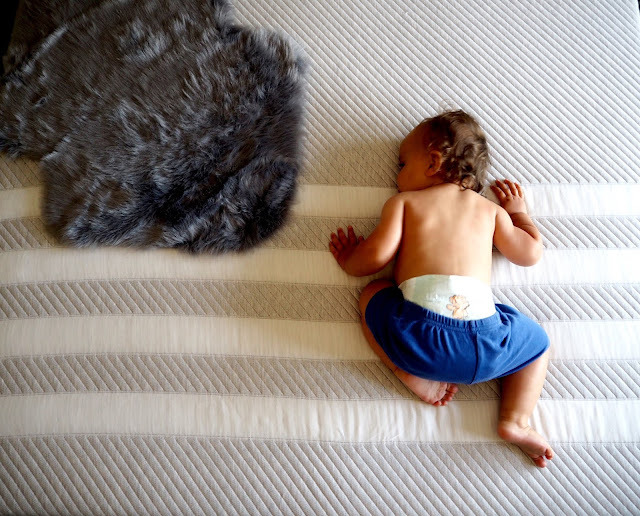 We’ve been saying for months “I can’t believe she starts school this year...” and now the time has come! 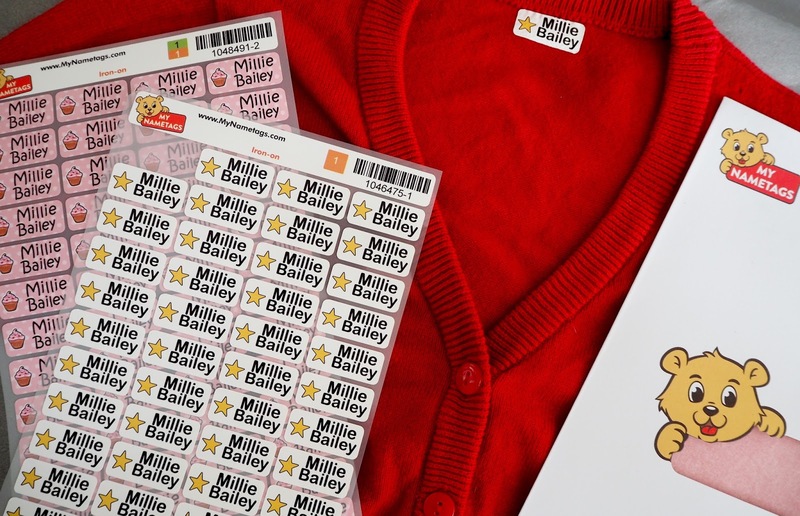 I also didn't realise how much there was to prepare and buy in regards to school wear, kit, bits and bobs and of course, name tags for the uniform! 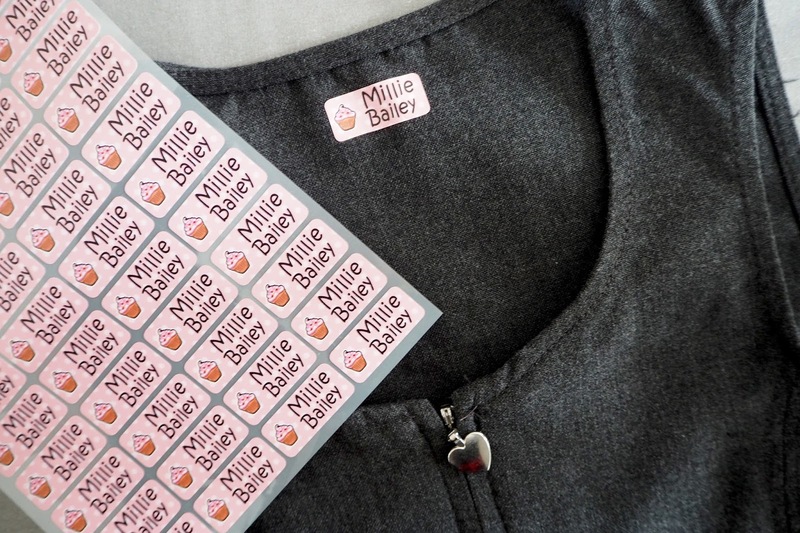 My Mum used to sew in my name tags on all of my school stuff so it’s something that’s completely new to me! 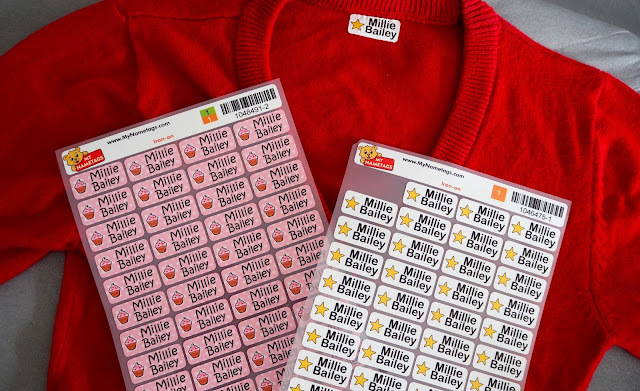 But, I was recommended MyNameTags by my friend Emily as you can get either stickers or iron-ons which are perfect to label literally everything! I got a pack of the Iron-on’s to start with but the guys over at MyNameTags kindly sent me some stickers and another set of iron-ons too! So, out come the iron and all of her uniform and I stood and labelled everything this weekend! Cardigans, pinafores, polo shirts, PE kit and even her socks! 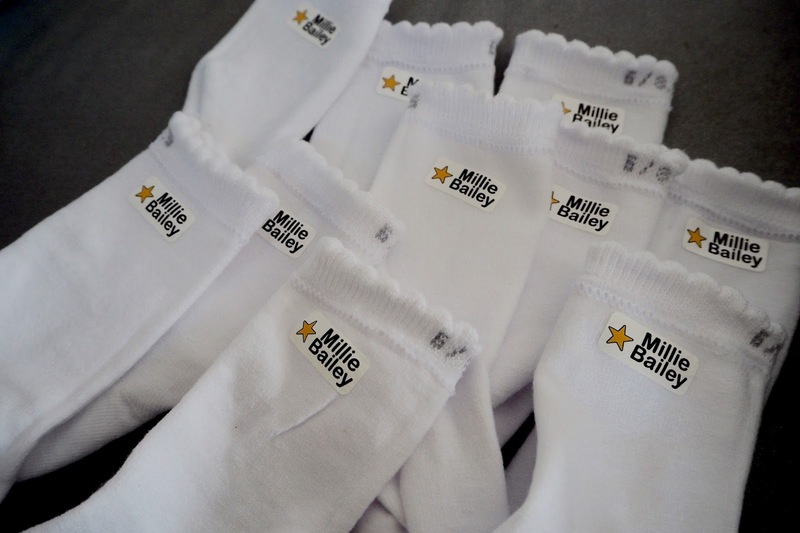 Yes, I labelled every, single, sock just because I know what Millie’s like and she’ll take them off and loose them the first time she does PE! It’s so simple though that I was done in just under 30 minutes and that was 6 polo shirts, 2 t shirts, 2 shorts, 4 pinafores, 4 cardigans and 14 pairs of socks plus, her school shoes and PE shoes. 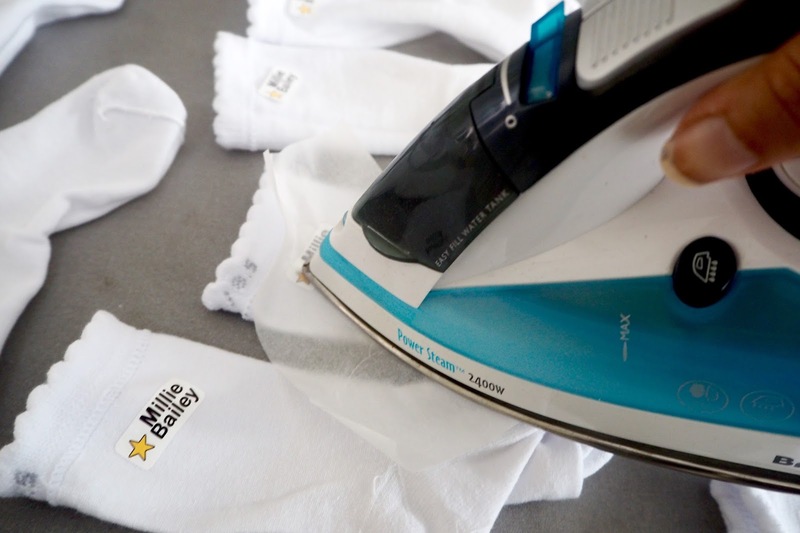 You simply peel off one of the tags from the plastic sheet, pop it onto the item of clothing wherever you want to tag it, put the iron adhesive sheet over the top and hold the iron over it for around 10 seconds and voila! I recommend using the piece of ironing sheet wisely, start from one corner and go the next so that you don’t waste the paper. For her shoes and PE shorts, I used the stickers instead! It’s pretty easy - peel and stick! I’ve been told that they last through washes and tumble drying so I’m keen to see if they really do but, the good thing is you get 52 tags on each sheet so even if some peel off, we have plenty to see us through and maybe even last until next year! 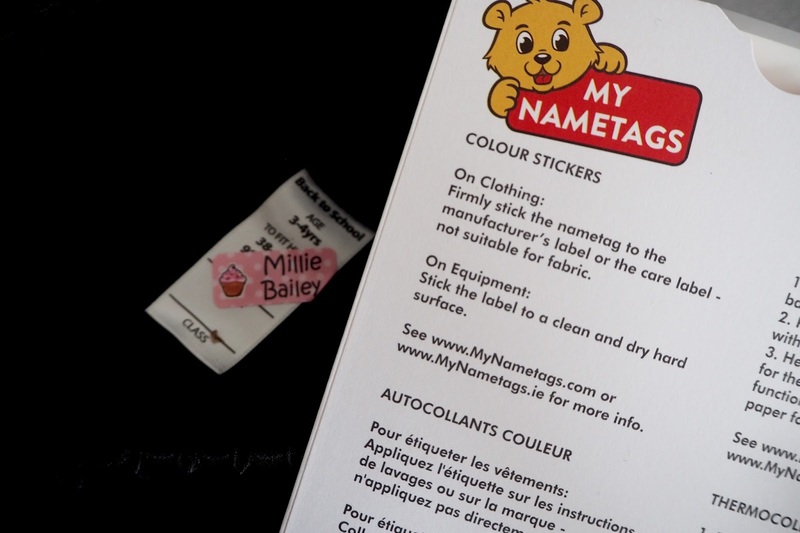 The designs for the name tags can be changed too so you could add a name and telephone number on if you wanted, you can have black and white or colour, you choose the little icon too so they’re completely personalised for your child! I ordered mine on a Wednesday and they arrived on Friday/Saturday! Amazing turn around especially for such a busy time! 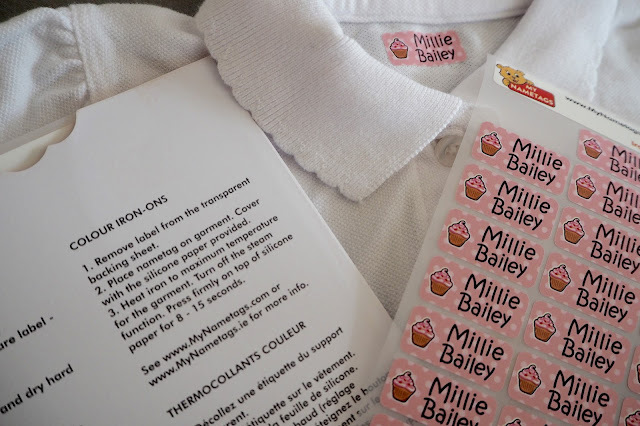 So if your little one has a transition period like Millie does, you’ve still got lots of time to order yours and get labelling!